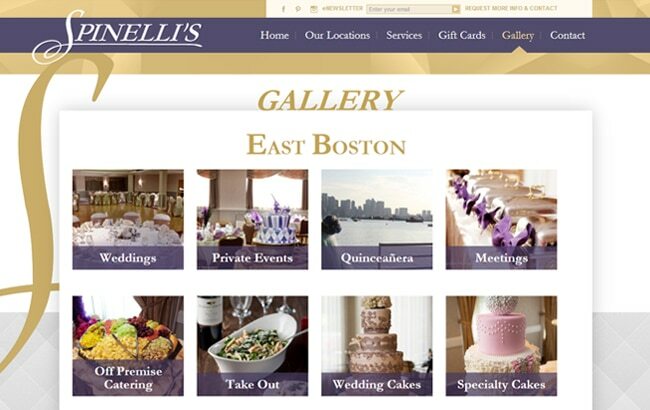 The company's previous website had become outdated and stood to be better Search Engine Optimized. 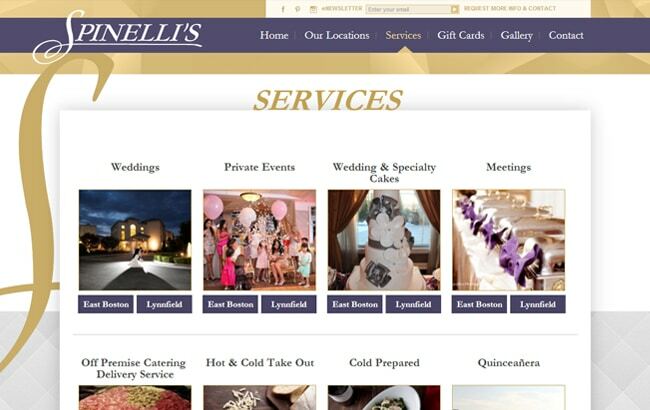 We stayed involved with Spinelli's management throughout the web design process going through multiple revisions getting their design, layout and interface just the way they wanted it while also making sure to outline and understand their goals for their new site. 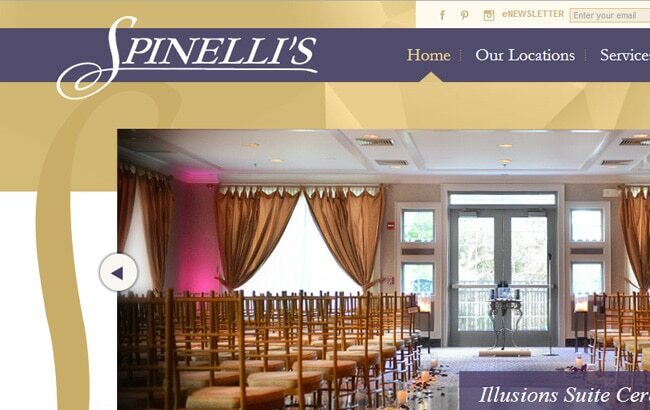 Among the website upgrades and additions were a new user-friendly web design that really communicates that Spinelli's has two locations and the specific services that each location offers. 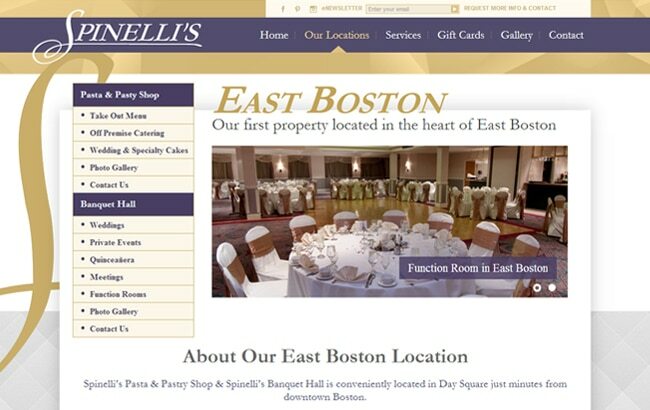 The East Boston location boasts a delightful pasta/pastry shop and a gorgeous banquet hall next door. 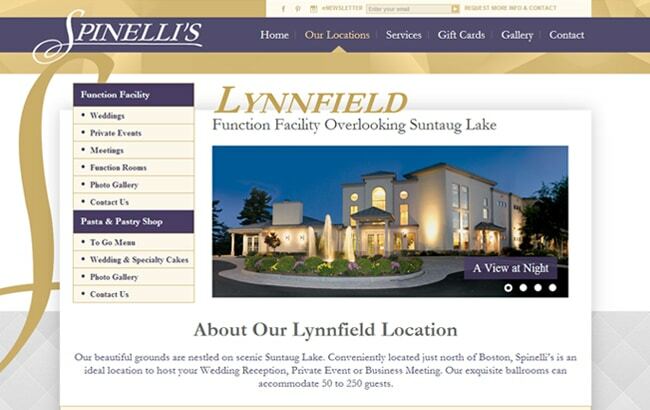 Lynnfield Spinelli's exquisite ballrooms can accommodate 50 to 250 guests and are ideal for wedding receptions, private events or business meetings. 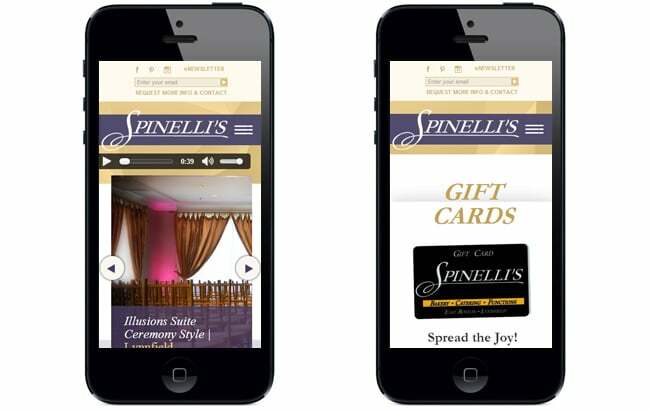 With the construction of a Responsive Web Design framework, Spinelli's mobile and or tablet viewers will get the best experience possible when viewing their new website. 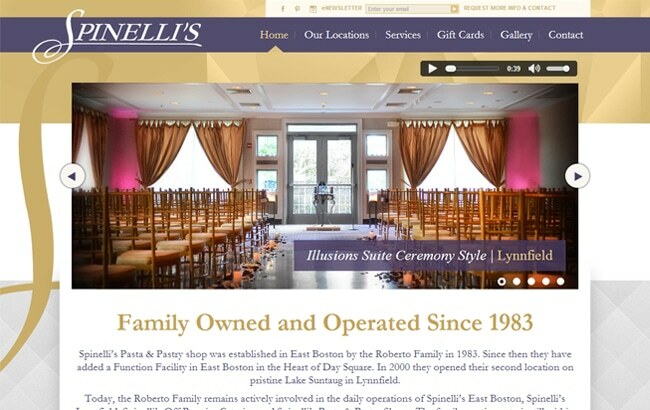 One that features tons of high-quality photos, creative PDF display menus and so much more!